4:45 AM Started the journey towards Delhi. 6:30 AM Saw one dbaha fellow lighting up his stove, decided to have a tea, just around Rahatgarh. 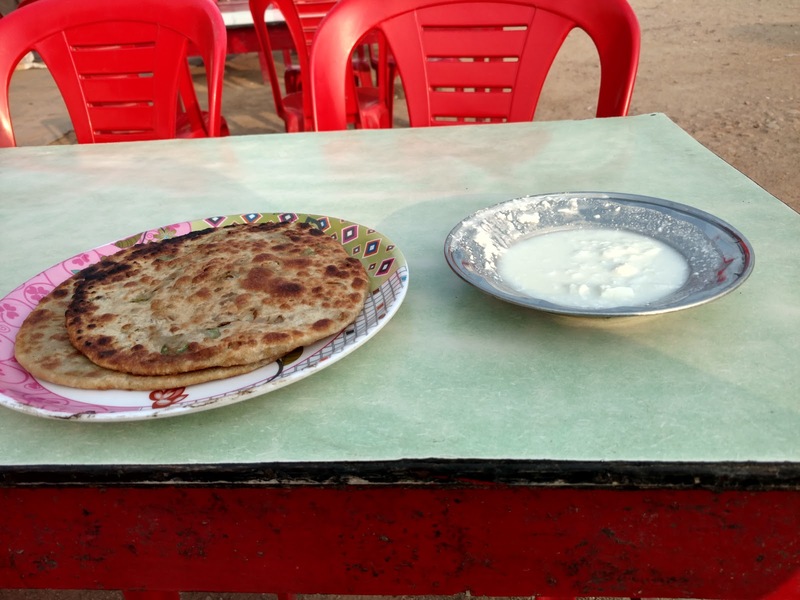 8:01 AMFound a dhaba open, decided to try my luck for breakfast. He was willing to make some aloo parathas. 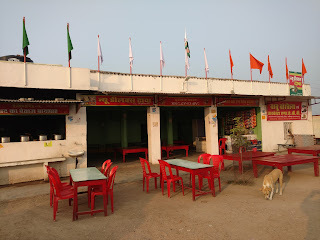 The place was not great, no toilets but the food was cooked fresh and there were no other options around. 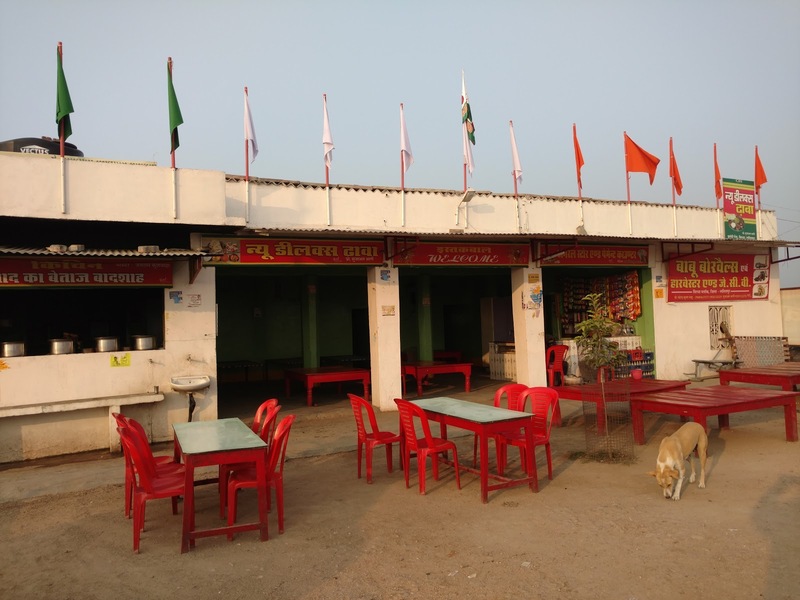 For some strange reasons all the hotels and dhaba's in this region give you extremely small qualities of chai. You are almost required to have two of them for any practial effect. This region of country is extremely problematic to drive. You change the state multiple times and you see trucks lined up on border multiple times. 1:30 PM Entered outskirts of Agra. Crossing Agra is extremely messy. I don't understand why there is no decent byepass. May be there is this belief that if you are coming to Agra, you must be going to visit Taj. 2:30 PM Crossed Agra and entered Yamuna Expressway. I found YEW to be an extremely overrated expressway. First of all the speed limit is just 100, there is very little traffic on the road and the tolls are extremely high. None of the petrol stations in expressway were willing to accept credit cards. Since my destination for the day was a hotel near internation airport, I had to cross the whole city to reach there. I was advised to exit YEW at Palwal and then byepass most of the city but I missed that exist and ended up having to traverse the whole city. 6:00 PM I reached the hotel and checked in.